CS continuous seam welding machines are well suited for large production. 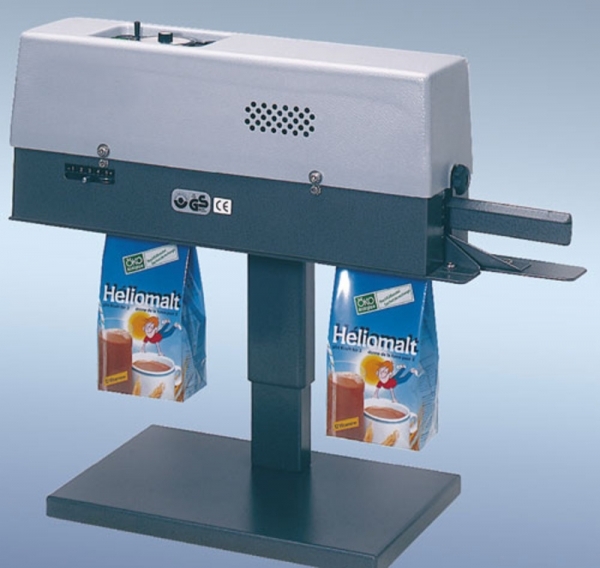 The machine welds quickly and efficiently regardless of the length of the bag. Machines designed for high quality manufacturing technology. The advantages of the machines are fully apparent in every difficult situation. The CS welder is available in two options: -CS-500 R with welding speed of 5.5 m / min, making a simple straight seal with a width of 6mm -CS-450 with a welding speed of 6.2 m / min. Welding of parcels with products without transport system, while parcels exceeding 1 kg require additional transport system TP-520.